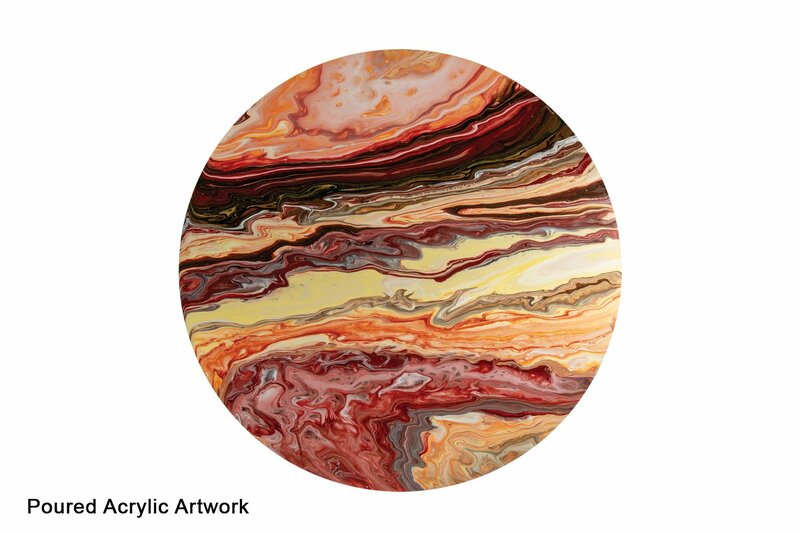 Adding this medium to either paint variety will dilute the paint, giving the paint fluid dynamics for the creation of stunning fluid acrylic / pouring acrylic artworks. Add to a container 1/3 Acrylic Flow Medium to 2/3 paint and mix well. Decant white paint into a container and add small quantities of colour at a time while mixing until a desired shade is achieved. 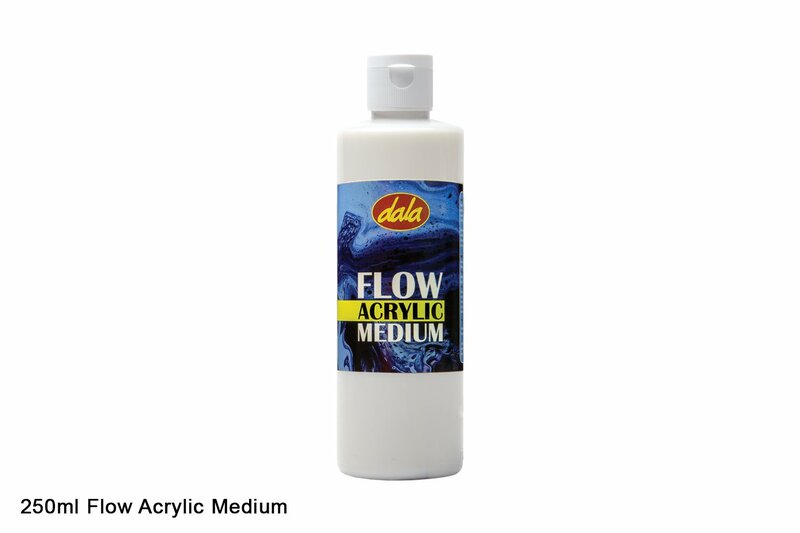 Use the ratio of 2/3 paint to 1/3 Acrylic Flow Medium. Water can be added at this stage to make the paint mixture a little thinner. Add 5-10 drops of liquid silicone into paint mixture if cell formation is required. The more silicone you use the more cells will be created. Once paint is mixed, set your canvas up on a protected surface. Raise your canvas by balancing it on 2+ items of the same height such as cups. Pour paint mixture onto surface as desired. Pivot the canvas to initiate the flow of the paint, turning it and tilting it until you are satisfied with the coverage. 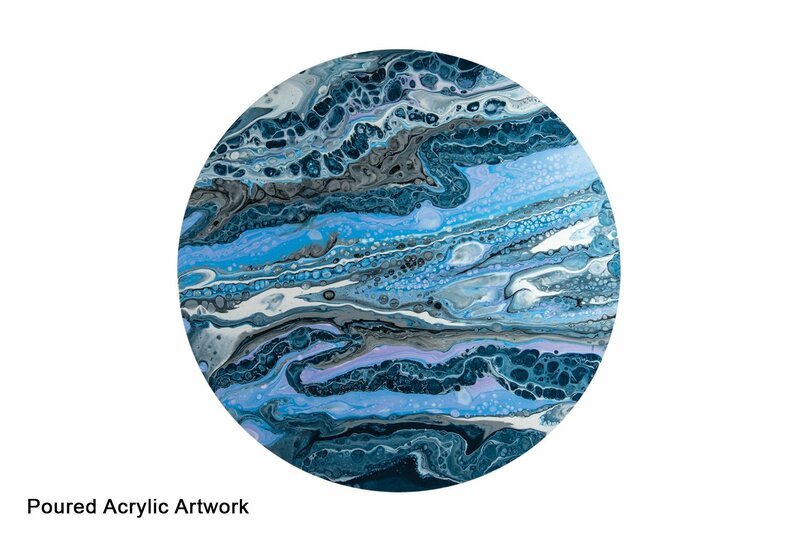 If you are using the silicone method, carefully and quickly use a butane torch on the surface of the paint mixture to create cells of colour. This item has 3631 views.